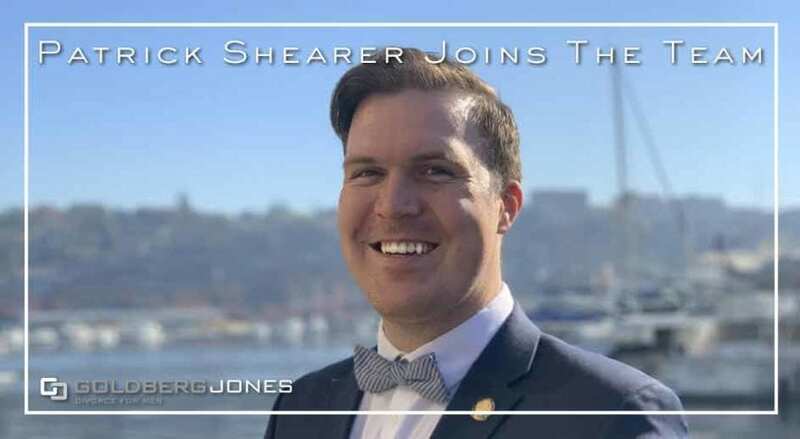 Goldberg Jones is excited to welcome the newest member of our Seattle team: Patrick Shearer. A skilled, experienced divorce lawyer and family law practitioner, Patrick fights long and hard for his clients. He recognizes the importance of the decisions made during divorce and custody battles and uses every available tool to achieve an optimal result. He’s a valuable part of the Goldberg Jones family and an excellent resource to the husbands and fathers of the Seattle area. Kind, attentive, and professional, Patrick has the skills and preparation to handle a case, no matter where it takes him. He also has a keen eye for detail and keeps the best interests of those he represents at the forefront of his strategy at all times. Patrick graduated from the University of Idaho with a double major in political science and French. He followed up this accomplishment by attending the University of Idaho College of Law, where he earned his Juris Doctor. Related Reading: Do I Need a Divorce Lawyer? An Idaho native, when he’s not working to secure the rights of his clients, Patrick loves to travel the globe and spend time with family and friends. In the winter months, you can also often find him with his fingers crossed, hoping for snow in the mountains. Competitive and steadfastly dedicated to his clients, Patrick Shearer stands as a strong advocate for those he represents. He’s a valuable new addition to the Goldberg Jones team. Moving forward, he will be a vital resource to the husbands and fathers of the Puget Sound region in divorce, custody, and other family law cases.